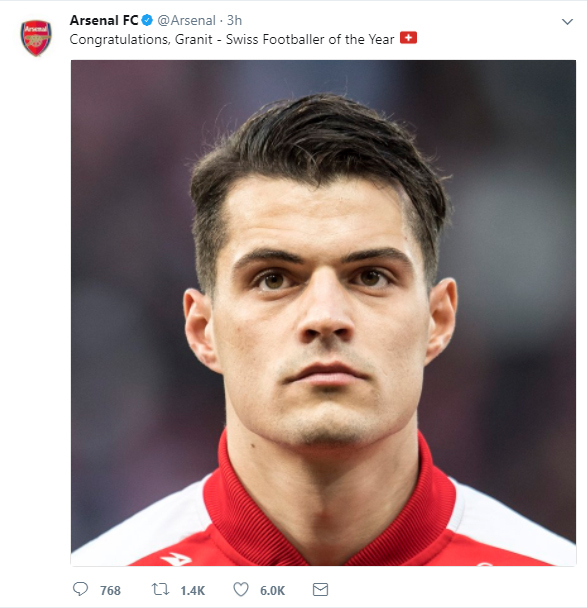 Arsenal midfielder Granit Xhaka has been named Swiss Player of the Year for the first time in his career, but the announcement could have come at a better time. Supporters of the North London side will want to forget Sunday afternoon's 4-0 defeat at Liverpool in a hurry, but fans are still venting their frustration at players on social media. Despite Xhaka was named Switzerland's player of the year on Monday, the fact that the 24-year-old was one of Arsenal's poorest performers this season couldn't be ignored. His mistake led to Robert Firmino's opener for Liverpool, whilst he was also at fault for Jesé Rodríguez's winner for Stoke City last weekend. 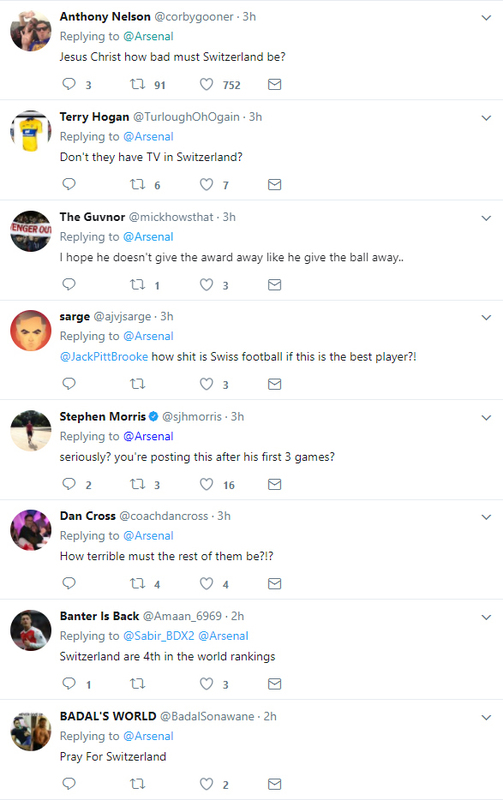 And whilst the club simply wanted to pay tribute to Xhaka for winning his award, Arsenal fans did not hold anything back on Twitter as they vented frustration over the Switzerland international's performances.